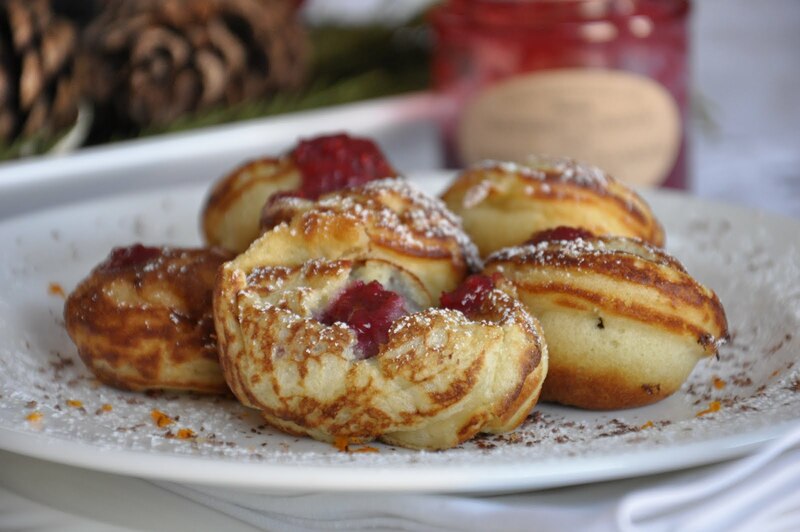 The Danish pancakes balls called æbleskivers can be served as a breakfast treat or dressed up as a dessert. My post back in May details the construction process and shares my favourite batter recipe. After the batter was in the pan for a minute, I dropped a half teaspoon of this bright, vibrant jam into the middle. Raspberry and orange are two of my favourite flavours. When I served them up, I couldn’t resist drizzling a wee bit more jam onto the warm morsels. Orange zest, chocolate shavings and a dusting of icing sugar prettied up the plate. 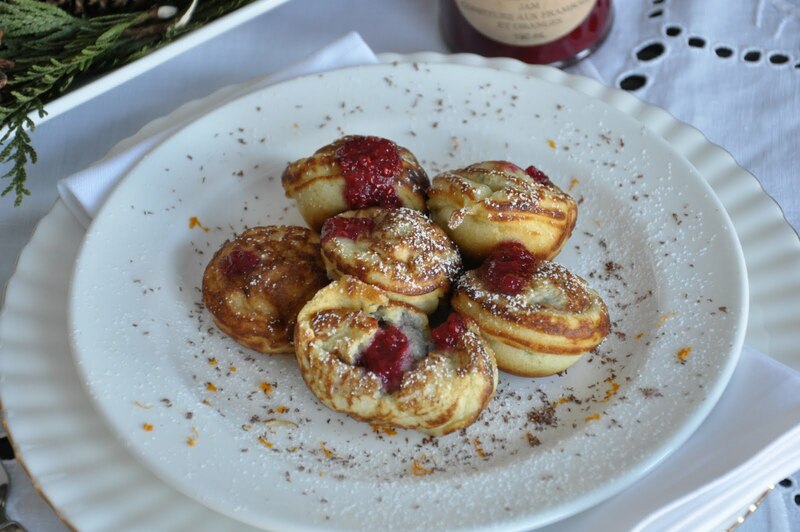 If you are considering buying an æbleskiver pan, I recommend going to CA Paradis in Old Ottawa South or Hendrix near the Ikea plaza. They both carry the cast-iron Lodge Pro Logic æbleskiver pan. 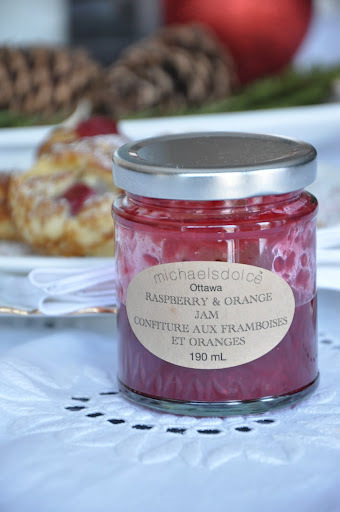 If you are looking to try the many michaelsdolce™ jams, you can find them at close to a dozen stores in Ottawa and also now at Pusateri’s Avenue Road store in Toronto. Check out his gorgeous website.